Voltage conversions are necessary when you want to run appliances that weren't designed to accommodate the standard voltage of your power outlet. In the United States, the standard voltage is 120V; in Europe, for example, the standard voltage is approximately 220V to 240V. To make a higher-voltage clothes dryer work in a lower-voltage outlet, you'll need to install a converter. Locate the manufacturer's label on your dryer. It's usually on the back panel, bottom, or nameplate. Look for a measurement of either wattage or amperes. This will be a number followed by "Watts," "W," "A" or "amperes." Multiply a measurement given in amperes by the machine's voltage (220V). This is the wattage used by your dryer. If the number you found is already in watts, there is no need to multiply it. Keep this number handy; you'll need it when shopping for your converter. Visit your local hardware, home improvement or small electrics retailer and ask for a stepdown converter that will convert your 220V dryer to a 110V dryer. Read the packaging on available converters and select one with a maximum wattage rating above the wattage you calculated in step 3. 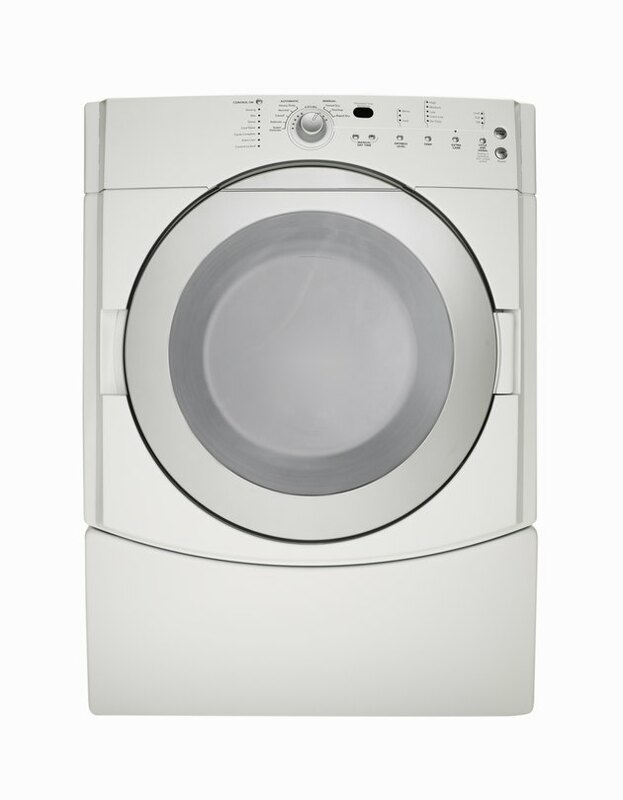 According to the U.S. Department of Energy, most clothes dryers have a wattage of 1800 to 5000. Locate your circuit breaker and shut off the power to your laundry room or washer/dryer outlet. Unplug your clothes dryer and plug it into the converter. Plug the converter into the wall socket. Restore power to your laundry room or washer/dryer outlet via the circuit breaker, and operate the dryer as usual.